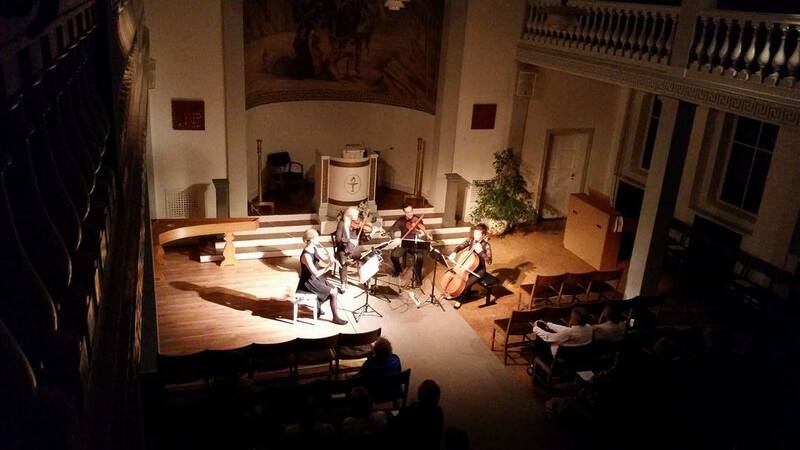 On Friday the 23rd of September, we had the honor of opening the season in Østerbro Koncertforening, together with cembalo-player Egil Kolind and three out of four members of Nordic String Quartet! We had so much fun performing Vivaldi (Concerto in Sol minore) with Egil, among a few of our favorite trio pieces. In second half our flutist, Ragnhildur, played an interesting and imaginative Icelandic solo piece written by Atli Heimir Sveinsson. To end the festive opening concert, she teamed up with three of our ØKF colleagues from Nordic String Quartet, and together they performed W.A. Mozart’s flute quartet in D-major. What an evening! 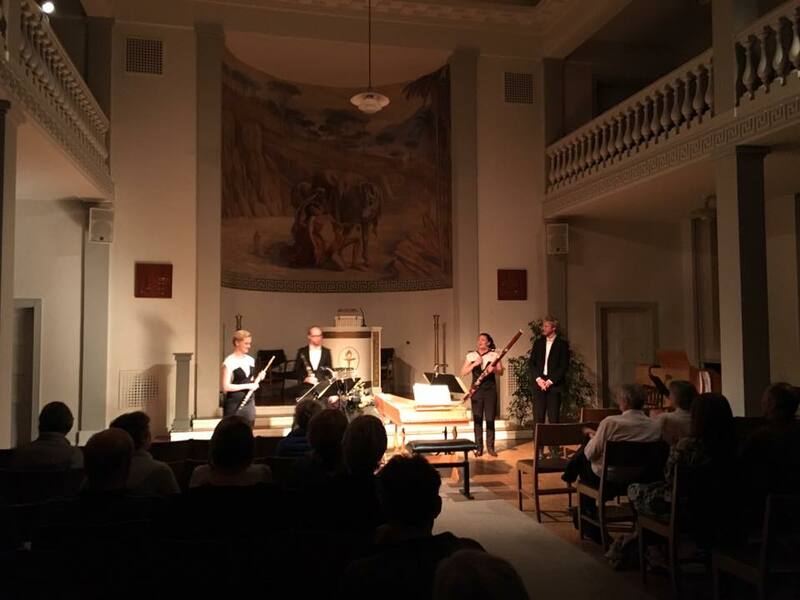 We thank everyone who came and took part in this festive evening with us – hope to see many of you for our next concert there: A collaboration with Copenhagen Guitar Duo on November 25th.